Is Anyone In the Dog House? Let's try a dangerous survey of the wives. Was your man able to stay out of the doghouse this Christmas? Leave your answer in the comments, and please be kind. I am sure by now must of you have seen this. I only saw it once Tony sent it over to me, but this is exactly what we discussed back on the chapter on Shaping Influences for Children. Things are going to happen in life, both the good and bad. We will not always have the answers, but we need to help our children find the answers from God. Truth is whatever Jesus says is true. Here is a boy that is upset and GOD SPEAKS TO HIM. And, this is where comfort comes from. It was not his knowledge of Scripture or just telling himself that God is still in control. God speaks to him and he is comforted. Amazing! Starting January 11th, we will start the Parents of Preschoolers class back up. The next topic will be Pastor Alan's book, Shame Off You. This will be a perfect follow up to Shepherding a Child's Heart. Just as Tripp wanted us to focus on the heart issues when addressing our children's behavior, Pastor Alan will take us to the things that form those heart issues. This book is written for the reader's vantage point, but our class will focus the discussion on how to take shame off our children. The book and other resources are at the Welcome Desk before you enter the sanctuary. The book is $10, the workbook is $15, and the sermons are $50. Feel free to use as much or as little of the resources you want. Just like we have been doing, we will set up the discussion, so even if you have not read you can participate and get resources out of the class. 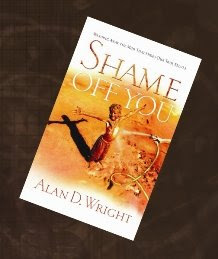 As another free resource, I found these two recordings of Pastor Alan's Shame Off You Conference at Lighthouse Christian Fellowship in Prosper, Texas. 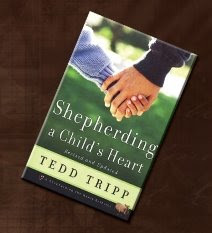 This week we finished our classes on Shepherding a Child's Heart by Tedd Tripp. We spend Sunday discussing the things God has taught us through the discussions, and God has been great in opening our eyes to things He was wanting us to know. We have become aware of the importance of our kid's hearts over their behavior. We have learned that we have been authority by God to parent our children, and that they are under a blessing as they stay under our authority. And, we have started to come to grips with a proper role of disciplining or punishing our children. I heard Pastor Alan say that disciplining is also an opportunity to bless, which I think is what Tripp would also say with three chapter on communication and one on the rod. I will end with an observation from Sara, which I will paraphrase because I do not remember it word for word. She mentioned that she came to realization that one of the main problems in our nation is people do not know how to be under authority. Parents are not teaching this to their children, and so they do not give it while in school. Finally, when these children grow up they do not know how to give it to their bosses. If there are blessings for us when we are under authority, when a nation of people refuse to be under authority, we are in danger. If you want to go back to look at what we have talked about, I have listed each of the notes below. You can also select the Shepherding a Child's Heart label to the right to find each of the blog entries for this topic. We will start back up on January 11th with a brand new topic. Our thanks go out to the Saul's for opening up your home for everyone and allowing a bunch of kids to decorate cookies. There was much laughter and eating, and the cookies were very appreciative. There was a party at Winston Salem Street School today with the cookies our kids made. The students were impressed when they realized that kids had made them. Here is a collections of a few pictures taken during the festivities. This chapter was the culmination of all these weeks. We waded through the theory and personalized some ideas, but this was the how-to for us specifically. We have preschoolers, so how do we put this into practice? I posted the notes on how to discipline toddlers from Sunday's small group. The idea of allowing our toddlers to appeal things we asked them was very helpful. Here are the rules of the appeal process he gave. It is not a place to challenge parent. It's that time of year! 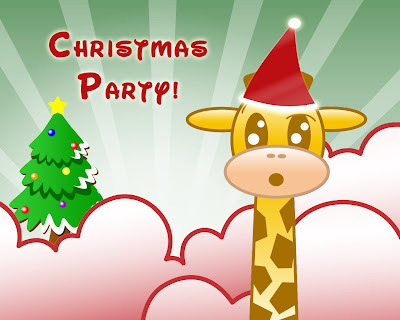 Our Christmas party for the class will be next week (see Class Calendar for directions and details). Justin and Sara will be hosting the event at their home and will have more information in class tomorrow about how everyone can help. The party will be from 4:00 - 6:30, which gives us plenty of time to get the kids home for bed. We are looking forward to seeing there. What is the Purpose of Having Kids? I had high hopes for this week. Unfortuantely with Elizabeth taking up a fever, I decided to allow Allison keep her weekend by staying at home. Before I start receiving the medals of honor, I will say that Elizabeth slept pretty much all morning. I had high hopes for this week because I felt the questions were good at setting right fundamentals for parenting. The Parenting Fundamentals' notes are online for others who missed the class. If the chief end of man is to glorify God and enjoy Him forever, and since children are a blessing from the Lord, then our kids have been given to us by God to help us glorify God and enjoy Him more. God has given us children to draw us to Himself. This is actually a truth about everything that happens to you if you believe Romans 8:28, but the special nature of children are a calling and a present. They are an overflow of the love we possess for our spouse. They are a gift of healing and joy and cause greater levels of trust in God than you ever dreamed needed.